NEW YORK, NY--(Marketwired - May 15, 2014) - A recent European prostate cancer screening survey yielded surprising results to those leading the prostate cancer battle. Approximately 1,000 non-urologic specialists were asked about their prostate cancer screening practices and use of the prostate-specific antigen (PSA) test for patients aged 50 or older. In response to an in-person questionnaire, 90 percent of participants were not performing regular PSA tests or digital rectal exams on their elderly male patients. Moreover, the study revealed that among those who were evaluating PSA, none was providing an informed decision-making consult about prostate cancer screening, nor did they themselves have any understanding of the strategy. In April of 2013, the American Urologic Association (AUA) introduced the concept of informed or shared decision-making about the PSA test for men ages 55 to 69. Their goal was to curtail what they believed to be excessive screening and prostate cancer treatment. Though, experts like David B. Samadi, MD, Chairman of Urology and Chief of Robotic Surgery at Lenox Hill Hospital, fear the changes could impede early detection and treatment for men who need them most. "It's very disheartening to learn that general care physicians and healthcare specialists are omitting the prostate cancer talk," said Dr. Samadi. "If patients aren't aware of their risk factors and the benefits of early detection, we simply perpetuate the dangers of late-stage prostate cancer diagnosis." Last year, the AUA offered very specific and conservative guidelines for PSA testing of men within various age brackets. Among them was the recommendation that men aged 55 to 69 receive education about the pros and cons of PSA screening and actively participate in the decision of whether or not to be tested. "The idea of empowering patients to take a more active role in their healthcare is important," said Dr. Samadi. "While this data is from Europe, it's possible that the AUA's recommendation to omit routine PSA testing may have an adverse effect on prostate cancer vigilance in the U.S. Early detection for men depends on awareness at all healthcare checkpoints." 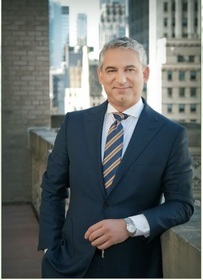 Dr. Samadi is the Chairman of Urology and Chief of Robotic Surgery at Lenox Hill Hospital. As a board-certified urologist and an oncologist specializing in the diagnosis and treatment of urologic diseases, kidney cancer, bladder cancer, and prostate cancer, he also specializes in many advanced minimally invasive treatments for prostate cancer, including his innovative robotic surgery procedure, SMART (Samadi Modified Advanced Robotic Technique) Surgery.